Awards: Trophies given to the top overall male and female winners as well as master's male and female winners. Medals given to the top three in five year increment age group categories from 10 and under all the way to 65 and up. 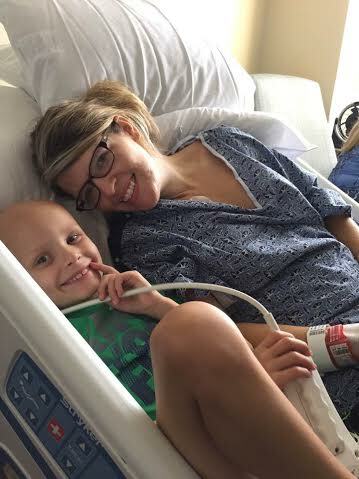 6 year old Braden Boozer and his mother Jessica who are BOTH battling cancer.